Contemporary realism with an abstract flair is how Charlotte Riley-Webb has described her art. 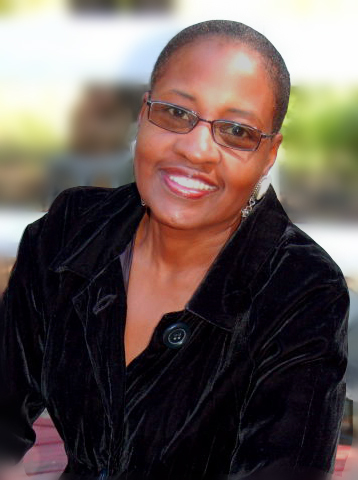 Her rhythmic style with bright bold colors easily translates into the children’s books she illustrates. Today, Web-Riley blogs about her journey as a children’s book illustrator and fine artist. For the final year of my college education I changed my major from graphic design to illustration. Even then, I had not considered translating that skill level into children’s book illustrations. When Lee & Low approached me about illustrating Rent Party Jazz in 2001, it seemed an insurmountable task. I could not imagine creating so many paintings for so few words. I had written a book myself during the time when my son was challenging every conceivable law and rule laid down in first grade as well as in our home. My book was titled, The Beat of A Different Drummer. That was what his teacher said in a parent teacher conference, when we both were at our wits end while trying to figure out how to deal with this very difficult child, …. “maybe he marches to the beat of a different drummer”…she said. Intuitively, artists turn most things we hear and experience into visuals. I sat down that evening and wrote the poem and later illustrated a book with that theme and he, at five years old as the subject. He is now, thirty-nine, so you see how long ago that has been. Even though I never attempted to publish it, I do acknowledge it as my first illustrated book. 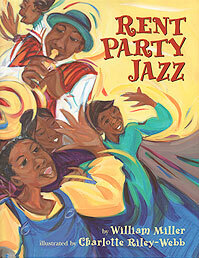 I was asked to illustrate Rent Party Jazz, by author, William Miller, because of my bright color palette, rhythmic brushstroke and the publisher’s desire to portray the music of New Orleans and the communal spirit of the neighborhood. Afterwards the same publisher asked me to illustrate Sweet Potato Pie by Kathleen Lindsey. I particularly enjoyed the challenge of illustratively bringing the family out of their dire situation of not having the finances they needed and using what they had available, sweet potatoes, from which they made pies to sell at the state fair in order to solve their problems. What I find most challenging about all of the books is the necessity to repeat the subjects from page to page as they appear throughout the book, but with a variety of expressions and in different situations, and yet maintain the continuity all the way through the story. The next, a book of poems, Entrance Place of Wonders, was a collection selected by Daphne Muse for Abrams Books. These were poems of the Harlem Renaissance. I was intrigued that these famous Renaissance authors had also written poems for children. Among them were Langston Hughes, James Weldon Johnson and Claude McKay, just to name a few. 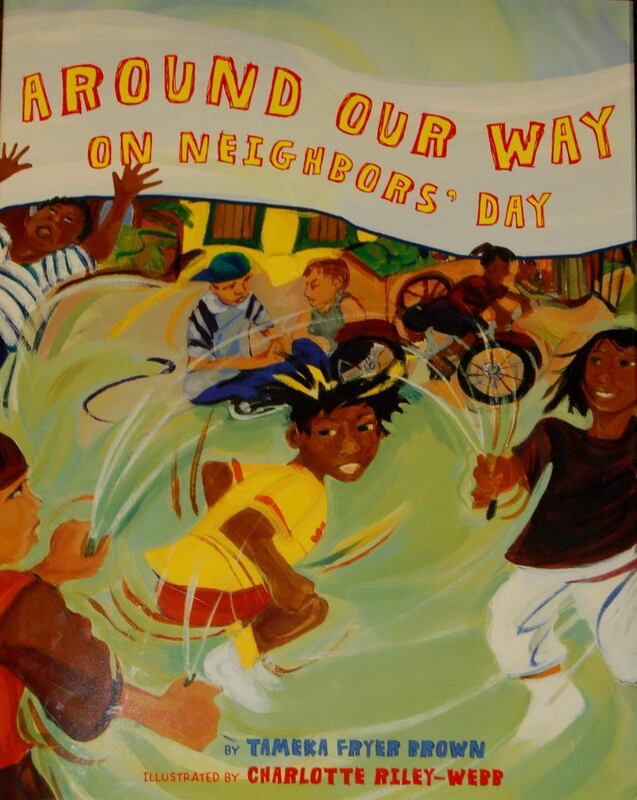 In 2010 I was again asked by Abrams to illustrate Around Our Way on Neighbors Day, by Tameka Fryer Brown. As I worked on the illustrations, I reflected on the neighborhood block parties we enjoyed so much as children, even though I did not grow up in New York, but Cleveland. . When illustrating children’s books, I’ve found that it is important to be able to utilize as many of the senses as possible in order to set the tone for the story. Again, I do a lot of this with my brush strokes and palette. If the author, for instance is talking about food for an event in the scene, I will focus on how the smell of the food will look and attempt to interpret that in terms of color and texture. Because there are so many elements that factor in, the illustrations often take several months. These include carrying out the story line, page layout with the consideration for copy as well as the painting, continuity of the subjects and maximizing the emotion and excitement on each page. I have spent the good part of a year on some of the books that I have illustrated. One reason for this is that I am a painter by profession, and will usually be exhibiting somewhere, and am working on two or more projects concurrently. Each of the pages in a book is a painting and if it is a continuous story, the characters in the paintings have to carry over to the next page and yet with colors and compositions be able to hold the interest and understanding of the child reading it. 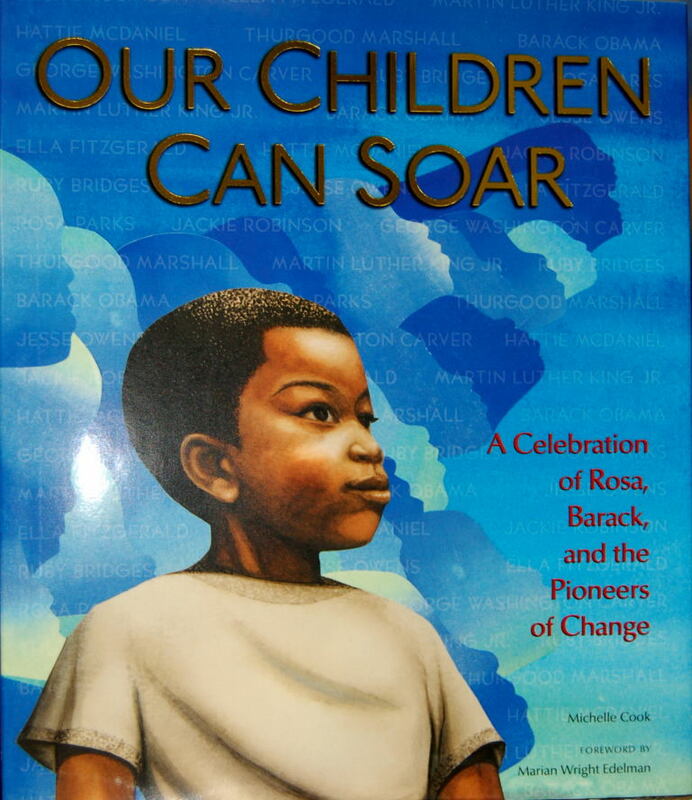 Our Children Can Soar was a compilation of paintings by twelve select illustrators asked to illustrate one page each of the well known verse… beginning with, “Our ancestors fought so George could invent…George invented so Jesse could sprint”…., from Ella, to Rosa, to Jackie; from Martin to Barack…….all of these African American heroes laid the groundwork so “Our Children Can Soar”! I was asked to illustrate, baseball great, Jackie Robinson, because of my ability to show action. Collectively this was a masterful work, which garnered us all the 2010 NAACP Image Award for Children’s Literature. My latest book illustrations are for Peachtree Publishers. Seed Magic, a true “beauty being in the eye of the beholder” legend; is due to be released in the spring of 2012.